genetic characterisation of circulating Hepatitis C (HCV) virus strains among injecting drug users in Tunisia (ITP). InSPIRES project, coordinated by the Barcelona Institute for Global Health (ISGlobal) and funded by the European Commission’s Horizon 2020 programme “Science with and for Society” (SwafS) recently closed its first-year report and presented its results on a review meeting. InSPIRES partners completed a qualitative study of 80 interviews on Science Shops structures and similar initiatives, a systematic literature review on Science Shops and an online collaborative design thinking exercise. All these resulted in a concept map of the “Science Shop at its best”. 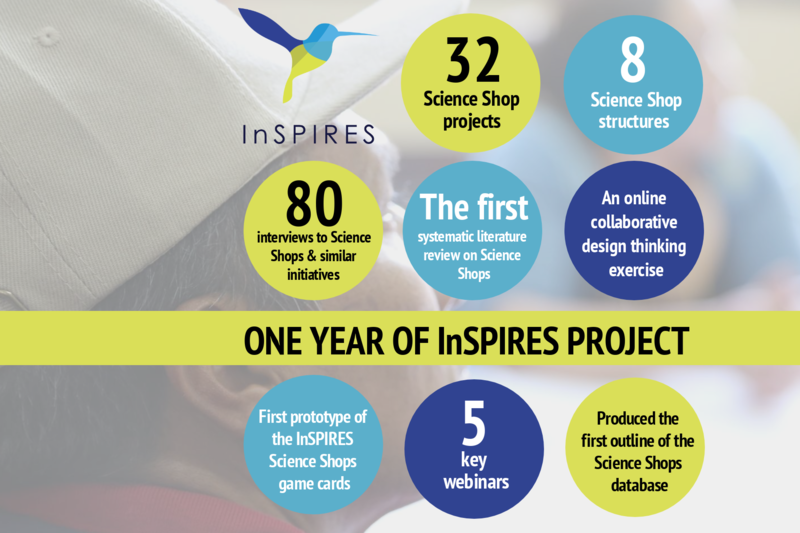 InSPIRES partners also organized five key webinars, produced card-game and outlined a new Science Shops database – with information on structures and projects – and a theoretical framework for the so-called Science Shops 2.0.